Choose Deck Doctors! The Norfolk Deck Builder of choice! For high quality custom deck building, Deck Doctors are here to help. 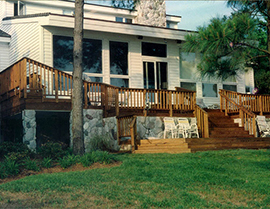 We’ve been building beautiful decks for Norfolk residents for many years. 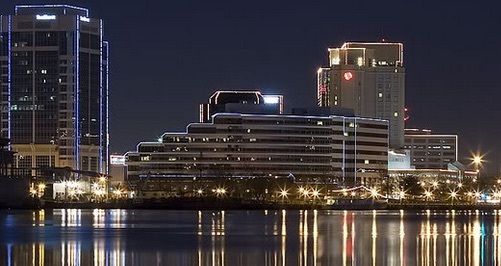 Norfolk, VA has approximately 246,400 people that reside here and is the second most populous city in Virginia. It is known as the historic, urban, financial and cultural center of the region. Norfolk has a long history as being a strategic military and transportation point. The largest Navy base in the world, Naval Station Norfolk, is located here, along with one of NATO’s two Strategic Command Headquarters. Although its neighboring cities are more well-known for being great tourist attractions, the rebirth of downtown Norfolk and the construction of a cruise ship pier have produced significant tourism revenue. A great draw for visitors is that the pier is in close proximity to many hotels, restaurants, and night-life. Norfolk is very expressive with their art, which can be found throughout their festivals and museums. This city is known as the ‘cultural heart’ of the Hampton Roads region. The New York Times considers the Chrysler Museum of Art to be the region’s finest in the state. There are many annual festivals and parades that occur here; one of the largest being Harborfest. This is also a great location for sports fans to visit, since this is where two of the highest level professional franchises in the state are located; the Norfolk Tides and Norfolk Admirals. Norfolk offers a great cultural experience that you won’t find elsewhere! 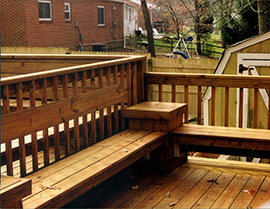 One of our customers in Norfolk, Virginia had a new deck built for increased space and functionality. 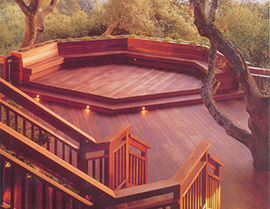 He wanted the deck to be inviting, comfortable, and long-lasting. We met with him to create a design to meet all of his needs. His neighbor hired us for their deck, so he was aware of our quality before scheduling the consultation. We made a few suggestions and were able to design a great looking layout. He decided to hire us and we scheduled a starting date for the following week. Once a budget is set, we create a design that will work well. Each deck is made with the same procedure and techniques that have worked the best for us over the years. The Deck Doctors crew began the building process. Once the foundation was prepped and ready, we placed the wood piers for increased stability and laid the beams. 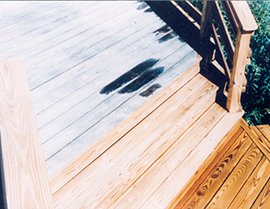 After the deck was installed, we stained the wood and cleaned up the worksite. The entire process took a few days to complete, but it turned out exactly how our customer envisioned. 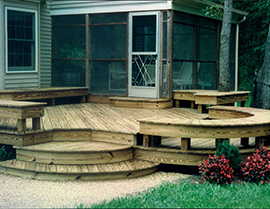 The Deck Doctors have the experience, passion, and dedication to provide durable and highly constructed decks for Norfolk, Virginia homes. If you are interested a new deck build, then contact The Deck Doctors.